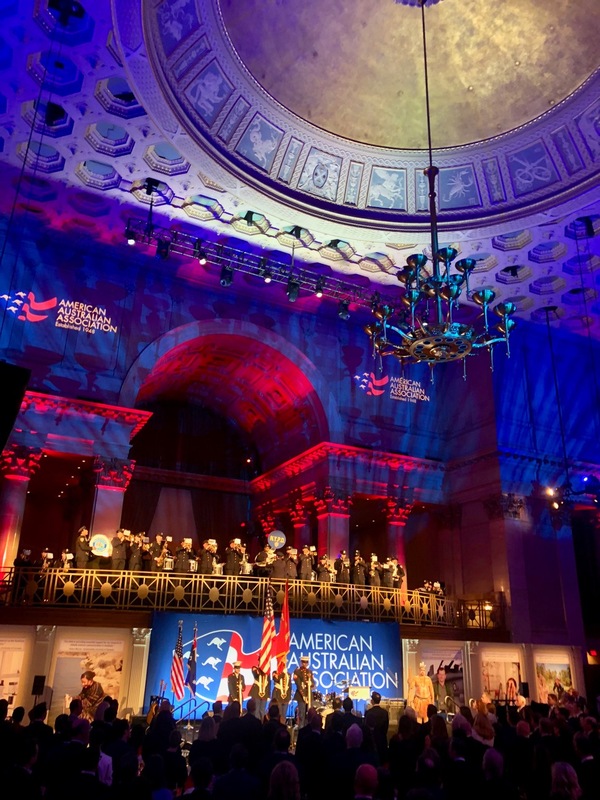 On October 30 2018, Wayne directed the 70th Anniversary Benefit Dinner for the American Australian Association in the wondrous Cipriani Ballroom, Wall Street New York. The Association was founded by Sir Keith Murdoch in 1948 and to this day celebrates and encourages co-operation between the two countries (with New Zealand also on board) – and operates an extensive Graduate Education Fund, which sponsors scholars from Australia to study and research in America, and American scholars, to do the same in Australia and New Zealand. Honorees at the dinner were Lockheed Martin’s CEO Marilyn Hewson and the AAA founder’s son, Rupert Murdoch AC. 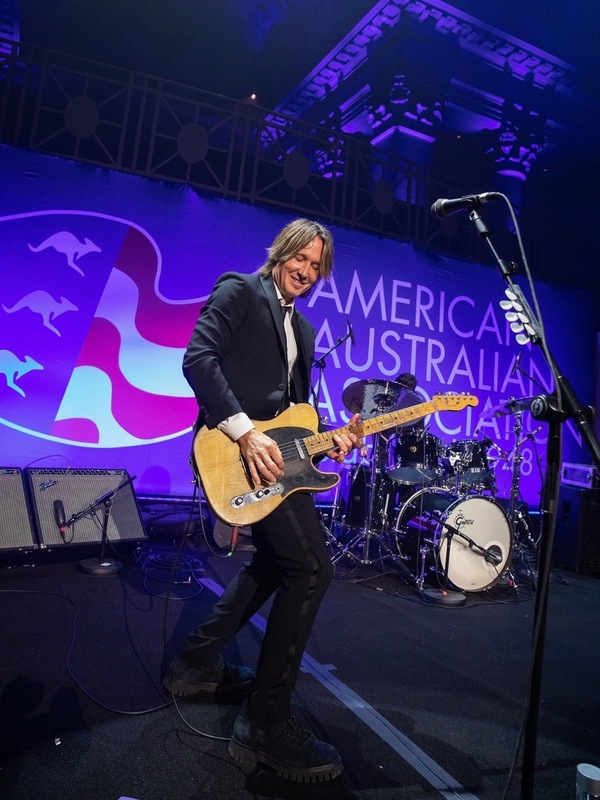 The entertainment was provided by the one and only Keith Urban, with support from didge player Cameron McCarthy (from the Kuku-Yalanji and Ba-Barum tribes of Northern Queensland), the US Marine Corp Color Guard and the New York Police Department Marching Band. 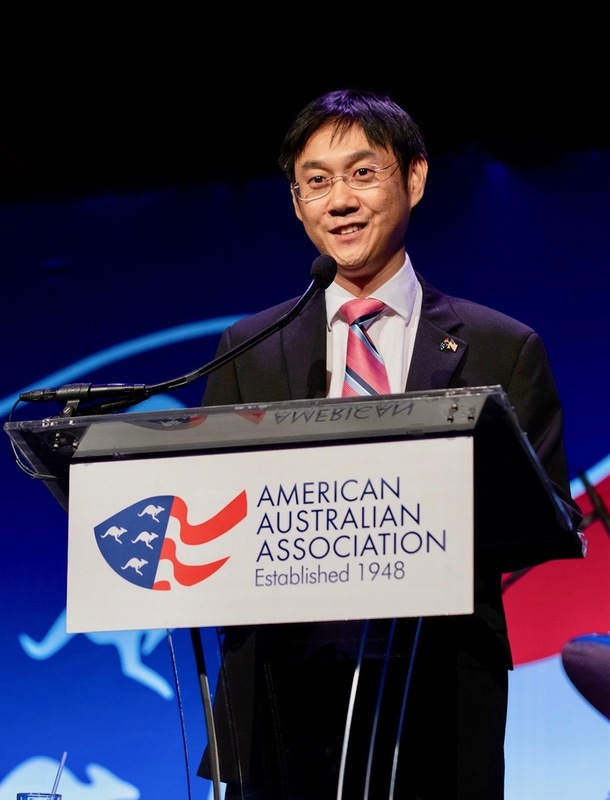 A key address was given by one of the graduates of the Education Fund Dr Monkel Lek, who told of his journey from the Western Suburbs of Sydney, where he’d started life as the son of Cambodian refugees, to running his own lab at Yale University, researching and seeking a cure for muscular dystrophy. It was inspiring, on a number of levels, especially as he is also battling the genetic disease. More power to him.